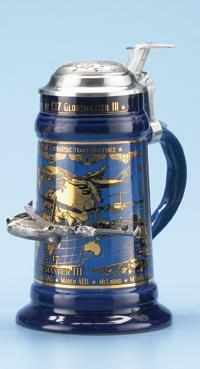 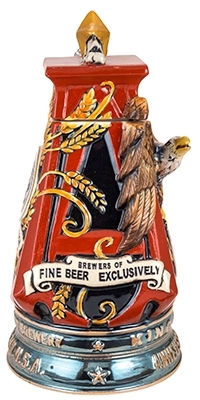 This porcelain stein has an eagle perched upon a large "A", which stands for Anheuser-Busch. 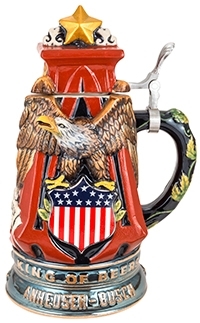 The eagle's craning head extends outward from the body of the stein. 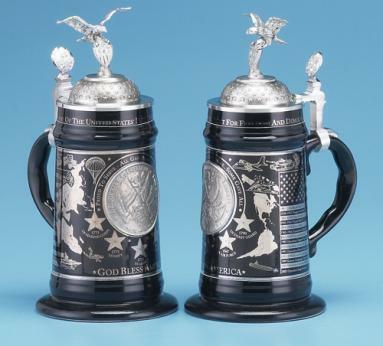 Underneath this are the words "King of Beers - Anheuser-Busch". 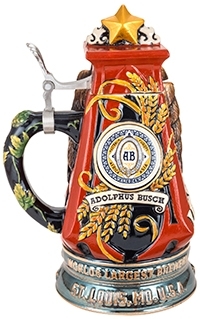 On the other side, there is another AB logo, under which it reads "Adolphus Busch". 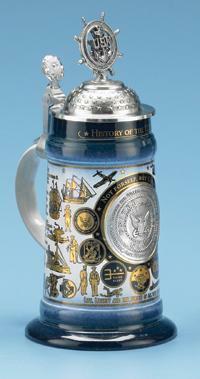 The very bottom of this panel of the stein says "Worlds Largest Brewery - St. Louis. MD. 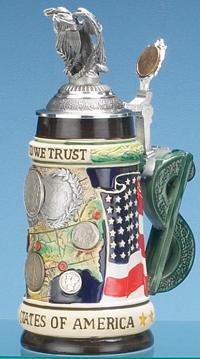 U.S.A." Sprigs of malt spring up from behind the logo, and hops decorates the handle. A star sits atop the porcelain lid.